It’s the height of summer in Australia, and Kai Rönnberg has just returned to his desk in Sydney after being on vacation for a couple of weeks. After returning to Australia from a visit to Finland in the fall, he felt he was coming home for the first time. Now he can’t wait for the other team members to return to work, too. The Aalto MBA studies are almost over. In April, Rönnberg will be taking to the classroom once more to complete his final module at Aalto EE’s premises in Singapore. Then all that’s left is graduation. Remote studies while working abroad has been a surprisingly easy combination to crack, although fostering a team spirit has been tricky at times. Remote studies while working abroad has been a surprisingly easy combination to crack, although fostering a team spirit has been tricky at times." In November, all of the program participants took part in a three-day Business Simulation game. The game involved establishing seven companies that manufacture tablets in small groups, simulating what it takes to run them for eleven calendar years. The game concluded by assessing the performance, strategy, methods, and, naturally, results. Rönnberg says he enjoyed the intense, challenging game. It was interesting to see how the group’s collaboration improved over the course of the three days in leaps and bounds when we were all given clear roles after the first day. “The Business Simulation module provided lessons that could be applied directly to my own work,” says Rönnberg. For the first time in his career, he now leads his own management team made up of experts in different fields. Lessons from the MBA studies have found their way into daily work almost without thinking." 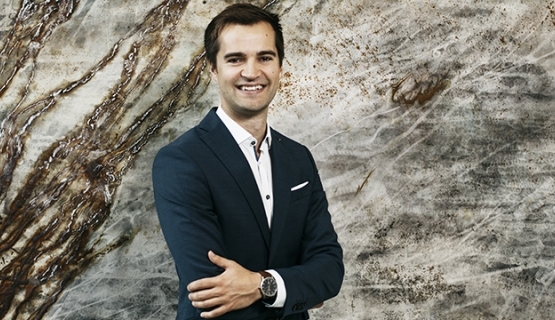 At the moment, Rönnberg is looking forward to getting more involved in customer work, as building the organization and Outotec’s major strategy reform are well on their way. Lessons from the MBA studies have found their way into daily work almost without thinking. According to Rönnberg, the management modules provided the best tools. At the end of our conversation, I have to ask about the weather. In Sydney, it couldn’t get any better than right now: about 30 °C and sunny. He says he has been spending more time outdoors than ever.